The Martha Stewart Living Classic 3 in. 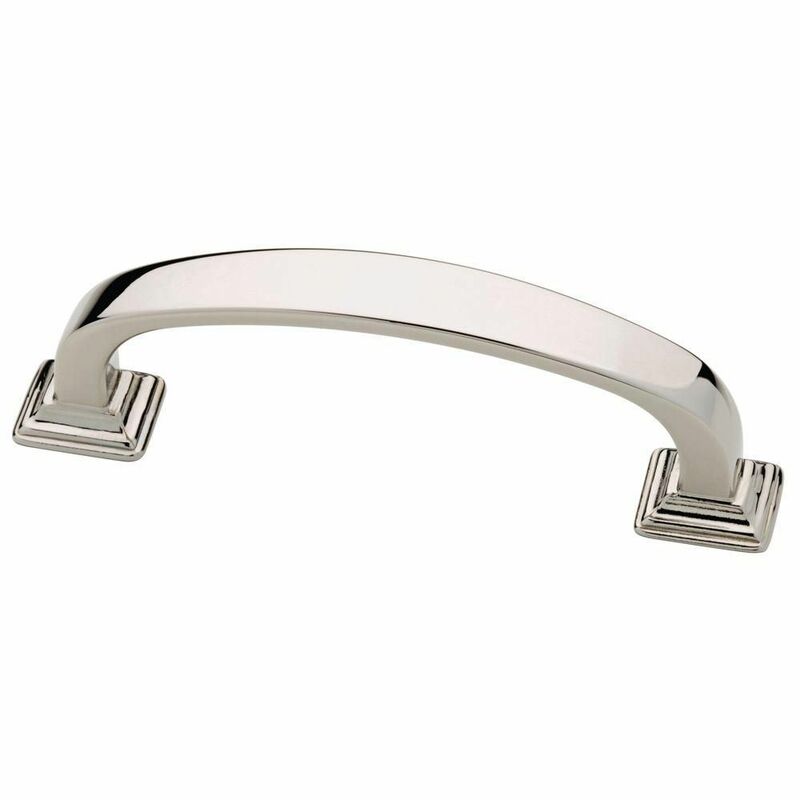 Polished Nickel Ribbon Pull features beautiful moulded bases for a graceful appearance. This pull is finished in polished nickel and made from metal for strength and beauty. 3 in. centre to centre measurement. Inspired by New England architecture, the Martha Stewart Living 3 in. Bedford Satin Brass Spindle Pull features refined details and a beautiful finish. Update your cabinet hardware to give a new look and feel to any room. Fasteners included for easy installation. 3 in. Ribbon Pull The Martha Stewart Living Classic 3 in. Polished Nickel Ribbon Pull features beautiful moulded bases for a graceful appearance. This pull is finished in polished nickel and made from metal for strength and beauty. 3 in. centre to centre measurement. 3 in. Ribbon Pull is rated 4.8 out of 5 by 20. Rated 5 out of 5 by CKA from Great match with my other hardware in bath. ... Great match with my other hardware in bath. Rated 3 out of 5 by SM from They were not as “substantial” as I was hoping.... They were not as “substantial” as I was hoping. Rated 5 out of 5 by Sue from I like that they came with two lengths of screws.... I like that they came with two lengths of screws. Very nice looking. Rated 5 out of 5 by Patricia from I wanted a smaller polished nickel handle for my light... I wanted a smaller polished nickel handle for my light gray cabinets and these fit the bill perfectly. Great quality and price.